1 : 62500 Merriam, John C.
The County Of Alameda California. 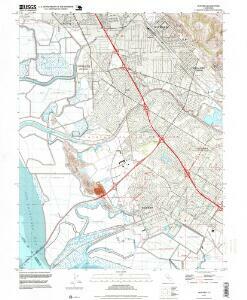 1 : 95040 Higley, Horace A.
Map exhibiting the salt marsh ... lands adjacent to the bays of San Francisco and San Pablo. Composite: San Francisco Bay Area Structure Sections. 1914.